Whilst away on holiday in August I decided to try out the new Remington PROtect Range and their Switch and PROtect challenge. 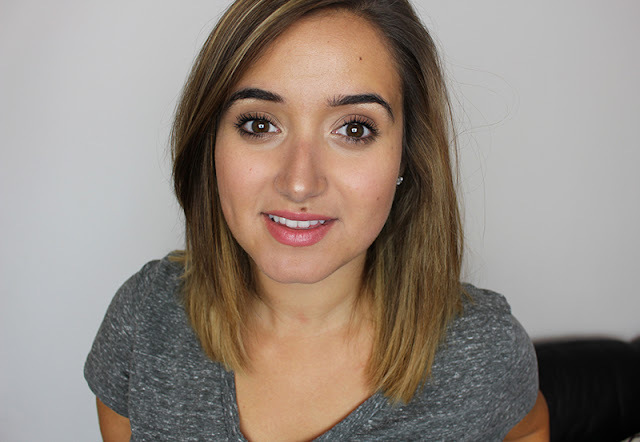 Although I used products to protect my hair whilst in the sun and applied lots of masks, I wanted to ensure that my blow dryer and straightener weren’t causing damage too. 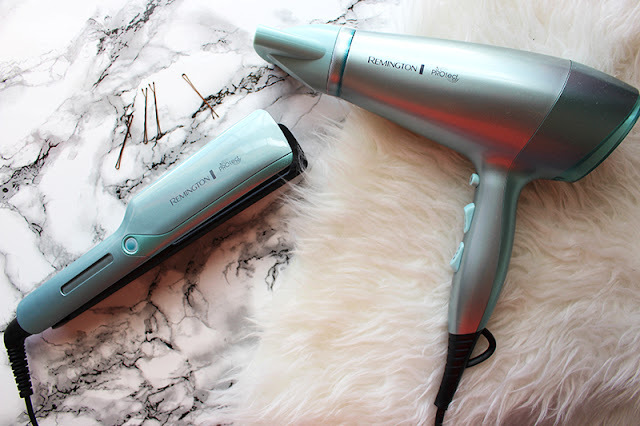 I was particularly excited to try the Remington PROtect Dryer as I use a blow dryer daily. It has thermacare technology to dry hair faster with less heat and therefore causing less damage. I usually dry my hair using the highest setting on my blow dryer but found using the second setting rather than the third was perfect for mine finer hair. I’m impressed by how light this blow dryer is which made it great to travel with but more importantly it left my hair looking really shiny. Although I don’t often straighten my hair I think on holiday it’s a really quick and easy way to ensure your hair is styled. The Remington PROtect Straightener has hydracare technology, which combines a cool mist with the optimum heat to deliver shiny, healthy, less damaged hair. I love the slightly wider plates on this straightener as I was able to straighten my hair quickly. I was really happy to have taken the PROtect on holiday with me and it couldn’t have come at a better time. My hair is shiny, hydrated and feels healthy despite all the time spent in the sun and using heat on it daily. If you too would like to Switch and PROtect then check out the giveaway below to win a PROtect Dryer and Straightener. I’ve used lots of facial brushes in the last few years and own more than I would like to admit but I find that they are usually a little too harsh on my skin, especially for everyday. 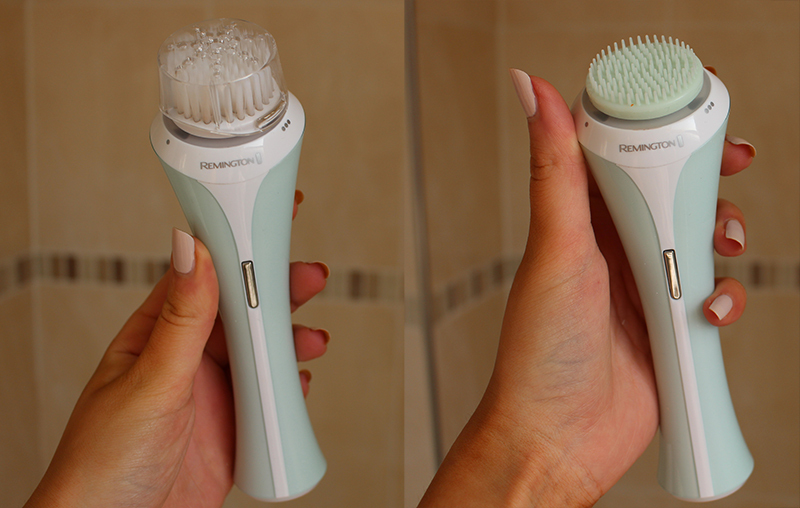 I recently started using the Remington Reveal Facial Cleansing Brush which unlike other brushes I have comes with three heads; normal, sensitive and massage. I started using the sensitive head daily a month back and have found it’s great at removing any excess makeup and at really cleansing my pores. I was a little worried about breaking out as I did in the past from other brushes but as I started with the sensitive head I only experienced a couple of spots and I am now using the normal head every other day. The brush has a minute timer which vibrates ever 20 seconds to insure you are dividing the time equally over your face. It also has 3 speeds so you can find the perfect one to suit you and your needs. I used mine for over three weeks before having to charge it which makes it great for travelling too especially as it is so slim. I had the pleasure of meeting Dr Barbara Kubicka who is Remington’s skincare expert who talked me through the new brush. She told me that although you can buy an exfoliating head it’s designed to be more than that as it comes with a cleansing and massaging head. She also said that it works best with a gel or foam cleanser and although it is possible that you breakout in the first week it will clear up soon after but you should avoid this area if it is a little inflamed. I personally love that I can use this in the shower as it is waterproof but my favourite thing is the massage head, I find it to be really relaxing and really helps my skin look healthier and plumper- plus it’s just nice to spend a little extra time on skincare a few times a week. After using it for a month I have found my skin to be a little less congested and even better hydrated which I think has to do with having well cleansed skin before applying other skincare products. It’s a great product if you have struggled with other facial brushes being too harsh in the past, simply want one which allows you to both clean and massage your face or you are looking to add something to your skincare routine which will really deliver glowing, radiant skin. Now I am hoping the do a body version with a massage head too! 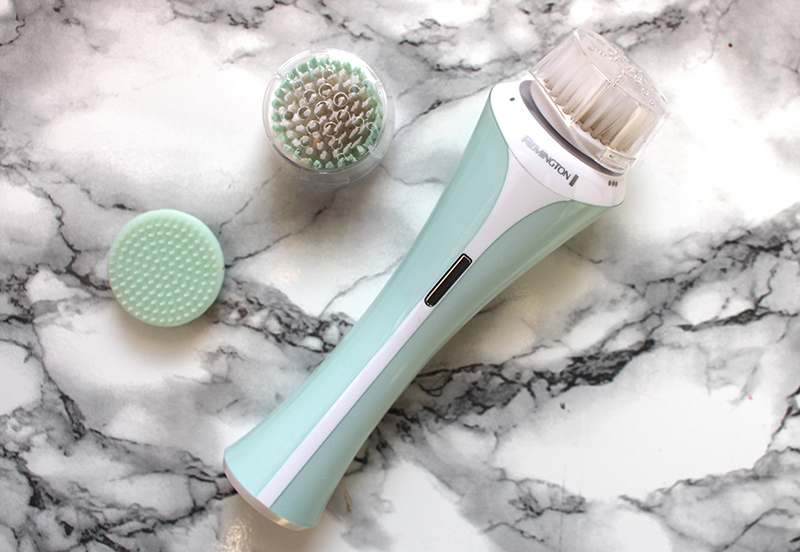 The Remington Reveal Facial Cleansing Brush just £79.99!